Gender bias. Stealing code. Racial discrimination. We’ve seen all of this in open source communities. And we know it involves ethics. Ethics is a subject that many talk about daily. Whether it is related to health, religious beliefs, or politics, oftentimes it coincides with the “grey area” topic. We’ll be focusing on certain ethical issues the open source community faces such as gender bias. After doing some research, we realized there isn’t an official code of ethics in the tech industry. The closest thing you will find to a code of ethics is the code of conduct put in place by various open source communities. This one put in place by Microsoft is a good example. It gives some basic suggestions on being friendly, respectful, and understanding among other things. Before we continue, it’s important to understand the difference between open source and proprietary. Open source in general means something that anyone in the public can have access to. Anyone can easily modify and design it. Open source software, on the other hand, is “software with source code that anyone can inspect, modify, and enhance.” Open source communities bring together thousands of people who have at least one thing in common – code. Now that you have an understanding of open source vs proprietary, we can dive back into the topic at hand. Oftentimes, gender bias, code plagiarization, and offensive racist, sexist, and homophobic language takes place within open source communities. Because it’s Women’s History Month, we want to shine some light on recent issues female engineers have faced in open source communities and in the tech industry. After analyzing 1.4 million users in the open source community, a study found that software coding made by women had higher approval ratings. “The team found that 78.6% of pull requests made by women were accepted compared with 74.6% of those by men.” The only catch? The approval rating was only high when and if their gender was not identifiable. When men switched to gender-neutral profiles, there was a drop in acceptance rates. But the effect was not nearly as strong as it was for women. So, the big question is – what can we do individually and collectively to help in eliminating gender bias? Check our own Biases: Harvard University started Project Implicit to help individuals assess any and all hidden biases they may have. What better way to start change than being aware of what needs to be changed? Develop a Code of Ethics: What is acceptable and what is not acceptable in these environments? Women are clearly experiencing uncomfortable circumstances in these environments. Should there be regulations or a universal code of ethics? While we don’t have the answers to these questions, solutions start with open and engaging discussions. Commit to Respect: 70% of women simply want their male counterparts to stop mansplaining. Not being dismissive and directing technical questions to women are just two ways to commit to respect. Each individual has unique experiences and viewpoints. To create mutual respect, you’ll want to ensure everyone you work with feels heard and acknowledged. Develop and Adhere to your Core Values: Basic human rights can oftentimes be overlooked. Where do you stand personally on fair treatment and respect for others? There are so many other ways to create an inclusive environment for women. Change is necessary and starts with us. The road has not been easy, and it will continue to present challenges. But the future is hopeful! That’s why we’re ending this post by shouting out women who have tirelessly contributed to the tech industry in the past and who are contributing now. We are so grateful for you! 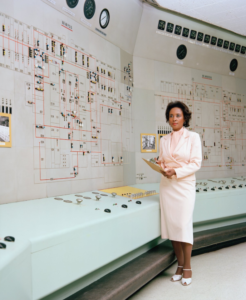 From working as a human-computer at NASA to working in a “Reactor Lab,” Annie Easly was known for encouraging women of color to enter STEM fields. Her work involved researching energy conversion systems and analyzing alternative power technology. She is credited with developing and implementing code that led to the development of the first hybrid car battery. Not only was Jean the first woman to be awarded a Ph.D in Computer Science, but she is also responsible for creating the first computer language. Have you ever heard of COBOL and FORMAC? We have Jean to thank for them. COBOL became the standard programming language for business applications worldwide. FORMAC is a programming language for symbolic mathematics. 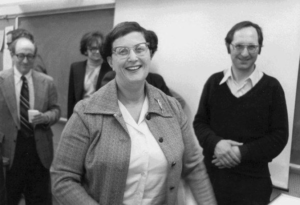 After working on FORMAC, Jean was responsible for leading IBM’s work on the Ada programming language. During WWII, six women accepted a challenge from the U.S Army to develop the first all-electronic, programmable computer, the Electronic Numerical Integrator and Computer (ENIAC). They were remarkably successful! However, after the war, none of the women received recognition for their accomplishments; instead, they were forgotten for a number of decades until Kathy Kleiman, a female computer programmer, found the above picture while working on a project. She asked representatives at the Computer History Museum who the women were. They told the women they were simply “refrigerator ladies,” meaning they were models hired to make the product look good. Kathy Kleiman researched the women and found their names. The ENIAC women were Jean Jennings, Marlyn Wescoff, Ruth Lichterman, Betty Snyder, Frances Bilas, and Kay McNulty. This is just one pretty obvious examples of gender bias, but justice always prevails. We wouldn’t be where we are technologically without these women! Ethically speaking, we’ve come a long way as a society. But there’s always room to grow. Gender bias is an issue the technical world, and the world in general, faces every day. But if we commit to helping overcome this issue, we’re already ahead of the game. Comment your thoughts below, or contact us! We’d love to hear if you have any additional advice for us and our readers on any of the ethical issues we discussed in this post!